Windows - Parksville & District Chamber of Commerce, Parksville, B.C. • Join the Chamber Today! 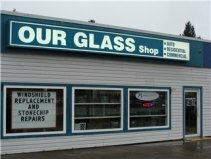 “Representing the businesses in the Parksville region, ready to serve your needs”. North American franchise, locally owned. &nbsp;Great warranties, great promotions. &nbsp;Free in-home consultations.